What should I do if my bird is sick? Well, first of all you may be wondering how can I tell that my bird is sick? 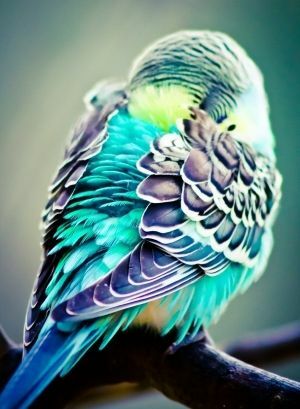 One of the first signs that your bird is ill, is normally a change of behavior. If you have a parrot with a character and all of a sudden their character changes, that can be an indication that they are not very well. With other birds like softbills and small finch type species, often they’re normal routine of going to the feed bowl, going to the nest box or going to certain places in the cage at certain times of day can change, and this can be an indication that they are off-colour. Also, if the bird is slightly fluffed up or the wings are slightly dropped this is an indication very quickly that things are not right. So what should you do if you think your bird is sick? This can be a big decision but you do need to act fast. 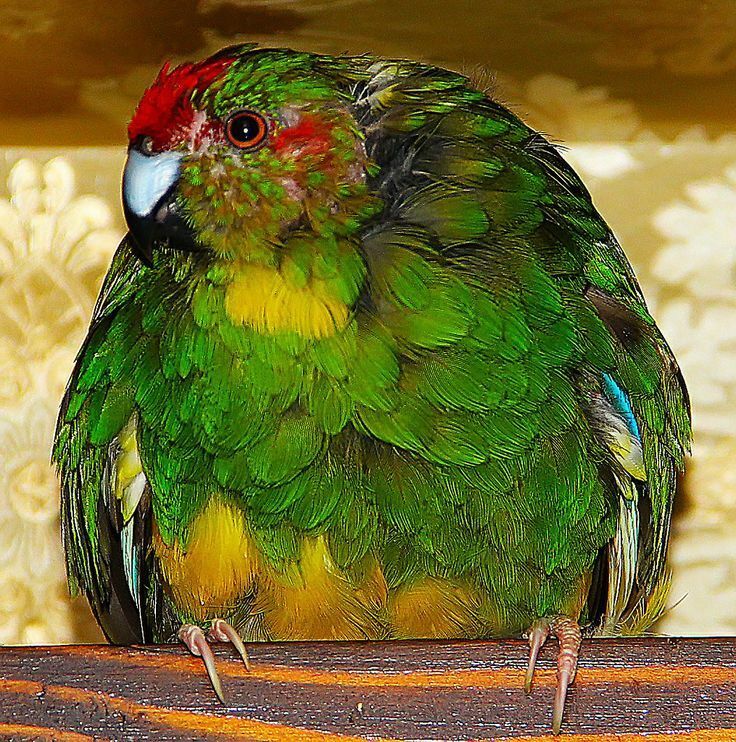 If this bird for example is a pet parrot in a house, it will not normally come into contact with other birds. 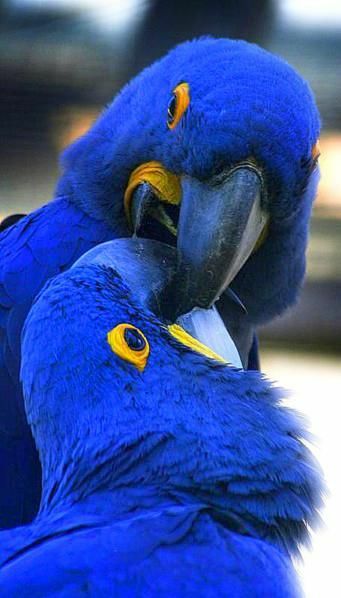 So they may not have most of the very dangerous parrot diseases because they couldn’t have caught them, but with an intelligent parrot like that, time is of the essence and it is very important to get your bird looked at as soon as you can. With that in mind, we have to consider one or two things. And if I go back to the days of Birdworld, if we had a bird that was ill in an aviary, very similar to a human being, making the decision as of when to move that bird, or to move a human being to a hospital, is a big decision. If the bird is in the aviary and it is slightly off-colour but is likely to recover – if you move that bird into an inside area where you can look after it and give it heat, it is very stressful for that bird to move. So, if that bird wasn’t that bad in the first place and then you give it a whole load of stress, you could make things worse. It’s the same for other species of birds in aviaries at birdworld. If we could treat them in the aviary so we didn’t have to move them, didn’t have to get them stressed at all, we would try and do so. Sometimes that would involve perhaps having the vet out and giving them antibiotics, or just getting some heat in the aviary, the decision would depend on the species of bird. So in some cases, with whatever birds you may have at home, and your sure that they’re not very well, it can be more expensive but less stressful for your bird if the vet can come out and visit your bird. If you decide to call a vet, you need to be careful that you are getting a very good vet. Not all vets are good with birds. It needs to be one that has been recommended, has dealt with birds before and knows what they’re doing. It is very strange from my point of view because every day I get phone calls from people who have had problems with their birds and often problems with their veterinary surgeons as well. If you do take the decision to bring birds in from the outside, into a new aviary somewhere where you can control their conditions, you need to be very careful with the temperature – the temperature will help them greatly, as will a good diet but once you have the bird inside for about a week or so and if the bird suddenly recovers, is looking very good, has responded to the temperature, maybe responded to a better diet or given a critical care formula (for advice please contact me) DO NOT suddenly put the bird back outside again, especially in winter, spring or autumn conditions. The bird was off-colour, you’ve brought the bird inside, it has recovered but will have been stressed and it will not cope with suddenly going back to where it came from and the sudden temperature drop if slightly ill, which you may not be aware of. It was very frustrating in Birdworld when we had ill birds during the winter period. We could bring them in but we couldn’t put them back out. With the largest collection of birds in the UK, if we had a bad winter, and quite a few ill birds, then it would be difficult to hold so many inside, but this has to be done. To summarize, please get advice straight away if you do have an ill bird to find out what the best thing to do is. If you have a sick parrot, then getting hold of a good veterinary surgeon ASAP is priority. Once a bird becomes ill, depending on what the problem is, they can go downhill very fast indeed so you do need to react very quickly. It is always best to get advice from someone who keeps that species of bird or to contact myself, Rob Harvey, or if possible to get a vet to see the bird in the premises where it is kept. 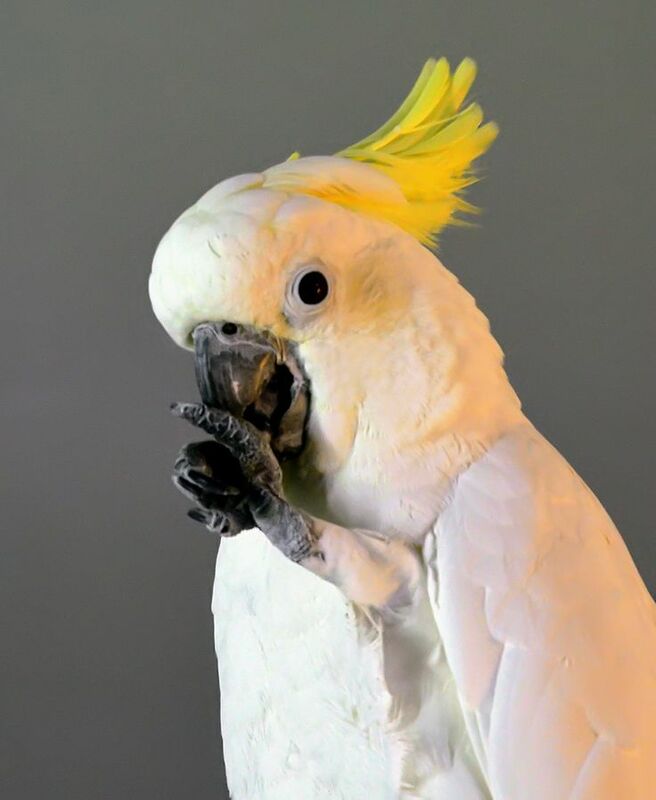 One thing to keep in mind, especially with parrot species (African Greys and Cockatoos are the worst), if they get stressed you can cause feather problems. A large number of birds that were moved into Birdworld, suffered stress and two or three week afterwards they lost some or even all of their feathers. So you can have situations, and I have a phone call on this every single week of the year, where a parrot has got some sort of problem, someone has taken it to a vet, and just the journey there has caused so much stress that it has given them feather problems two or three weeks later. So its always best to keep the bird as unstressed as possible, especially when they’re ill. Get the vet to come out to your birds. It’s very similar to human beings – you can have one illness or one problem, but when you get stressed on top of this, it can get a lot worse and this is exactly the same with bird species. If your bird is ill or sick, or if you want any advice on your birds, please don’t hesitate to call me on 01420 23986.